My main research area is condensed matter theory, where the aim is to characterise and understand the physical properties of materials consisting of enormously large numbers of interacting particles. Of particular interest are 'strongly-correlated' systems, in which the interactions between particles are simply too large to ignore or treat using mean-field approaches. One instead develops quantum many-body techniques to determine the underlying physical behaviour. I have previously worked on understanding many-body effects on the nanoscale, as observed in the electronic conductance of single molecules, carbon nanotubes and other 'quantum dot' devices. 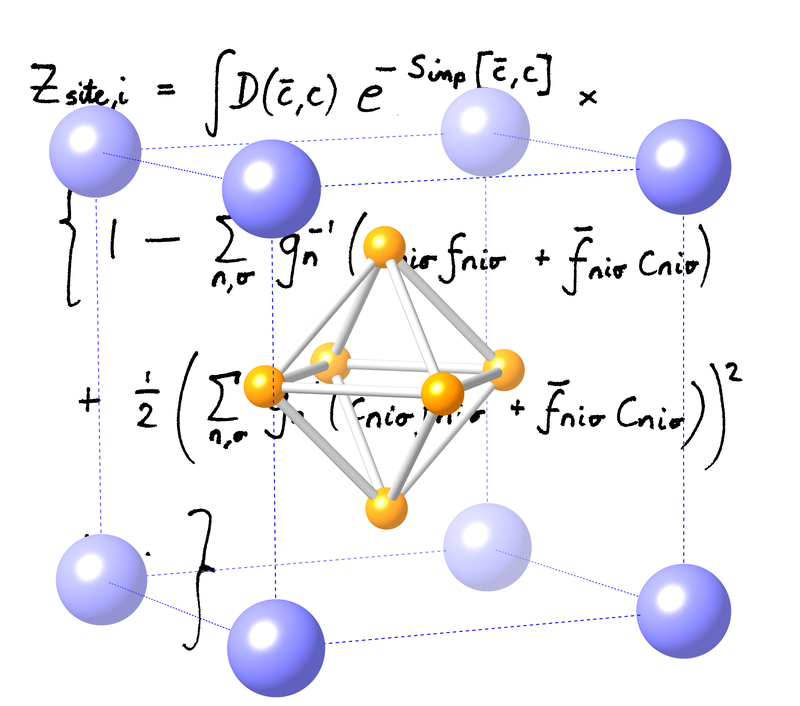 I have more recently been working on correlated electron behaviour in bulk materials such as heavy fermion compounds. I'm also interested in developing general theories for approximating many-body systems, and in numerical methods such as the Numerical Renormalization Group and Continuous-Time Quantum Monte Carlo. I am also involved in several collaborations with other members of the Department, in a range of subject areas. Phys. Rev. Lett. 94, 186406 (2005).